Galloping across the plains of Africa offers an unrivalled experience and a thrilling way to get close to the wildlife, surrounded by majestic landscapes. 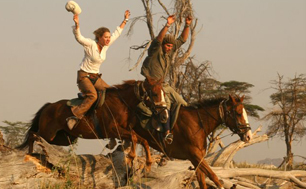 There are riding safaris to suit all ages, abilities and interests. From week long mobile safaris, where the focus is purely on riding, to staying in cosy homesteads on wildlife ranches where riding is just one of the many activities. From the open plains of the Masai Mara, and the more rugged areas of northern Kenya to the arid landscapes of Namibia and the water world of the Okavango Delta - there are plenty of diverse regions to explore atop four legs. End with a beach flop or even a few days in Cape Town or the winelands. Join a group of like minded riders on 7 - 10 day rides - Ideal for solo travellers or couples. South Africa is perfect. 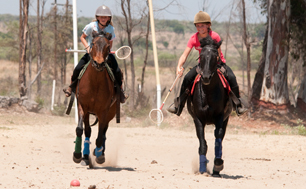 Gentle game experience, variety of riding activities, malaria free and affordable. 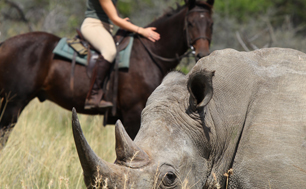 Most lodge based riding places offer alternative game viewing activities, keeping everyone happy. Temperatures do vary dramatically at different times of year, so please ask us if you have specific dates in mind.